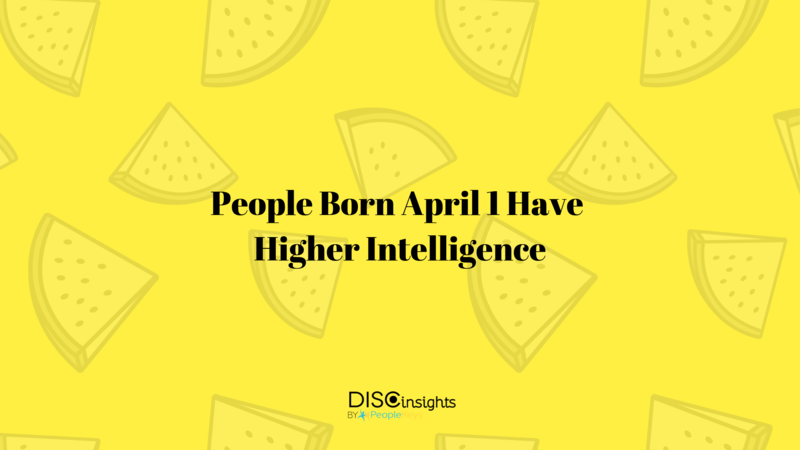 Whether you hate April Fools’ Day or love it, one strange fact about the day is people born on April 1st have a higher rate of success in life. They tend to be overachievers, stay in relationships longer, and as one scientific study put it, “they even seem to have a higher IQ than average.” Being a left-handed, I love facts such as “one half of all astronauts are left handed” and other such trivia. I guess being born on April 1 must be even better than being born left-handed! 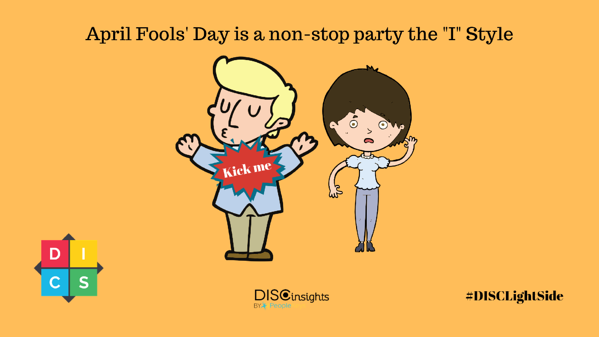 "D" Style: They hate to be deceived, tricked, or made to look foolish. 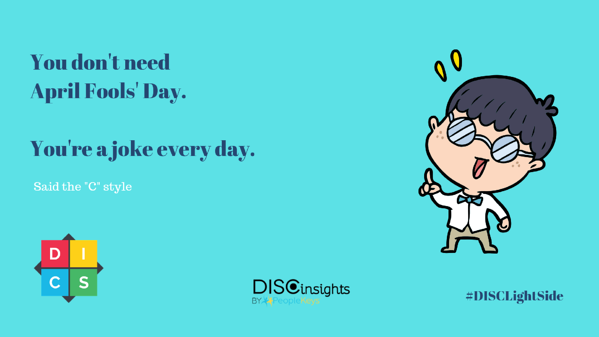 "I" Style: Yes, the “I” is the only style who actually likes this day because it gives them a GREEN light for all kinds of fun things. They may even put a “kick me” note on their own back just to prank one more person! 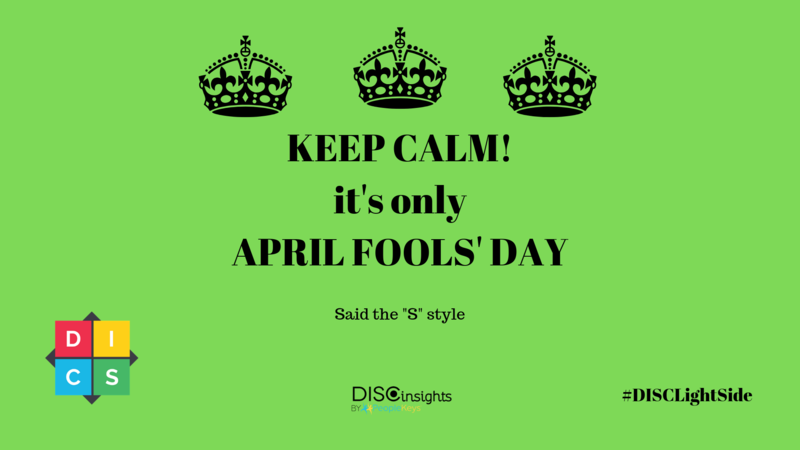 "S" Style: As long as the prank is not harmful, or doesn’t make anyone feel bad, the “S” will keep calm. "C" Style: Do you think any “C” likes a holiday for “fools”? No way! 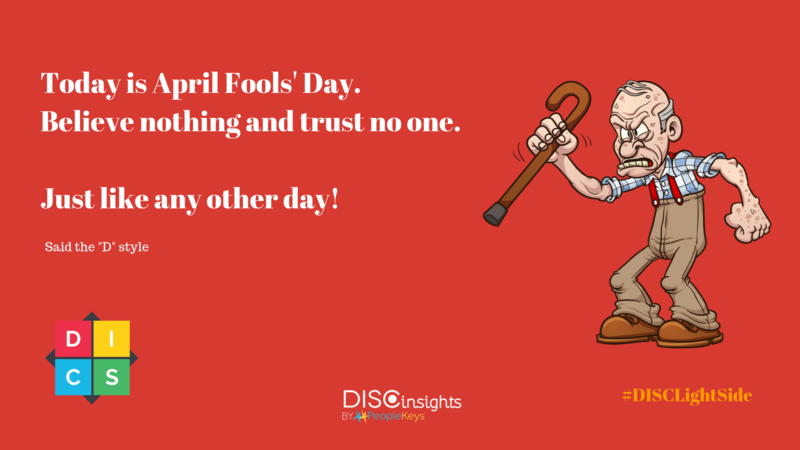 All I can say is Happy April Fool’s Day!! !